Mental Health Provision - A sign of change? Mental health is very much on the current government’s agenda. Worrying new studies have highlighted an increase in the number of children suffering from mental illness and Health Secretary, Jeremy Hunt, has highlighted that around half of all mental health illnesses start before the age of 14. Increasingly the discussion has centred on the need to focus on preventing mental health illnesses; mental health sufferers highlight that all too often provision in the NHS is concerned with curing the symptoms of the illness, rather than dealing with the root causes. A number of recent studies have highlighted the scale of the mental health crisis among students in the UK. According to a mental health report from the Department for Education in August, an estimated three pupils in every classroom across the country have a diagnosable mental health disorder, such as anxiety and depression. Similarly, in mid-October, research from the University of Manchester found that reports of self-harm in girls aged 13-16 rose by 68 per cent between 2011 and 2014. There has also been a rising concern that mental health provision in schools is inadequate, leaving schools ill-equipped to deal with this growing issue. Earlier this month, the Scottish Association for Mental Health (SAMH) called for everyone who works in schools – including janitors and catering staff – to be trained in mental health, in light of concerns that many children are not getting the help they need. In another study conducted by the Department for Education, it was found that 71 per cent of schools lack funding or external support and this is acting as a barrier to them setting up mental health services within schools. So, what’s being done about the situation? In theory, these changes to mental health provision are a step in the right direction. However, it is important to be cautious and ask how can these initiatives be practically implemented and how can the Government track the success of these kinds of policies? The Government’s commitment to boosting mental health discussions in the classroom is certainly a fantastic move in the right direction; working to help break the taboo of mental health among young adults in a safe and controlled environment. However, the potential for pot luck, or post-code lottery, in the quality of the provision that is available to pupils is particularly concerning. There is potential for significant disparities to open up across the country. 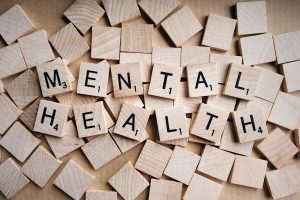 When training and government initiatives come into effect, it will be difficult for the Government to streamline the training and information available to teachers, which ultimately may affect a student’s understanding of mental health. This could result in a situation where one school may have a teacher who is very knowledgeable about mental health, including knowledge of likely symptoms and how to help those who are suffering, while a teacher in another school may lack this important understanding. Worryingly, this could lead to inconsistent information being relayed to students with advice and support differing in substance and quality. Another important consideration we need to ask ourselves is how will these policies be implemented and tracked for success? The Government can invest in new initiatives, and providing mental health teaching is a great idea to make sure that everyone is on the same page, but how can we track if these investments are actually helping to improve students’ mental health? This is an important consideration, mental health is difficult to assess, and therefore, difficult to address. It is important to commission reports and get feedback from teachers and students to actively finesse the initiatives and support on offer. Ultimately, there are still a lot of unanswered questions when it comes to mental health provision, particularly because it is often difficult to accurately measure and gauge how successful various interventions are. The Department for Education and schools need to work hard in the coming years to put in place the services and support networks required to improve students’ mental health. The current Government is certainly taking steps in the right direction, but this may be a journey that we are only just beginning.